This article provides a brief overview of Reach RTK GPS receiver. RTK has historically been used primarily by surveyors and others who required centimeter precise positioning, and were able to spend thousands of dollars on an RTK system. Reach makes this same functionality affordable to hobbyists and makers. For further information see Reach documentation. 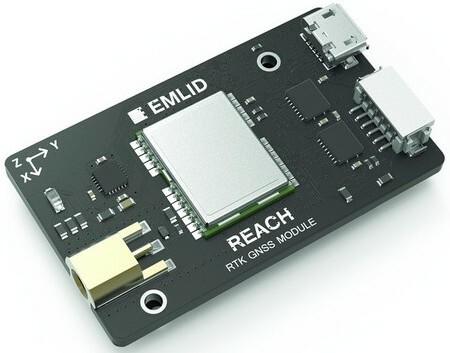 Reach supports RTK-enhanced coordinates output to ArduPilot based autopilots. To make this possible, it uses a custom GPS protocol called ERB (Emlid Reach Binary protocol). A Reach unit mounted on the vehicle can receive base corrections over telemetry radio, thus not requiring a separate correction link to the drone. Coordinate output is implemented via a serial port. 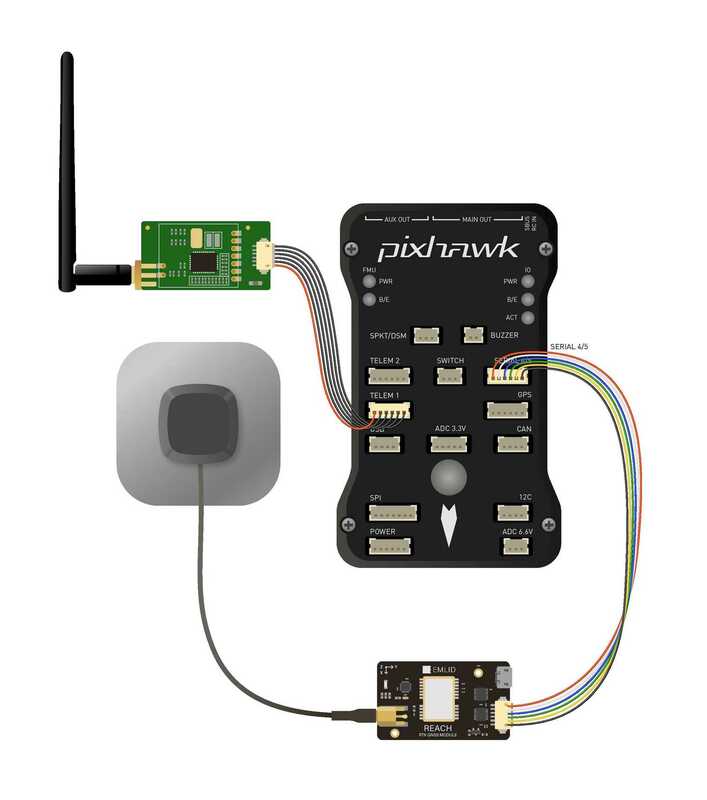 For more information on Reach and Pixhawk integration, visit Reach Ardupilot integration docs.